This document provides details on the REST Application Programming Interface that can be used to integrate other products and applications with GridGuard. 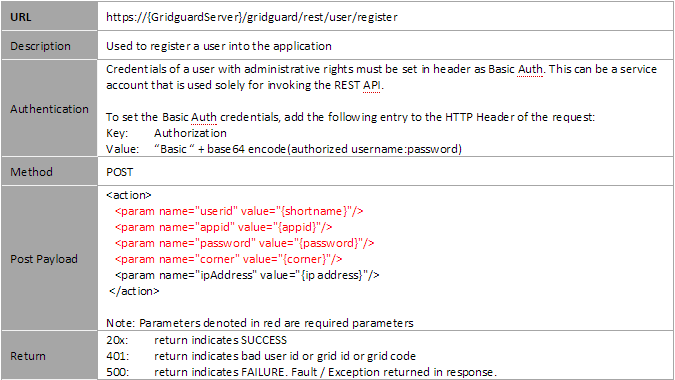 In the following documentation and in most cases, APPID refers to the realm name. 500: return indicates FAILURE. Fault / Exception returned in response. 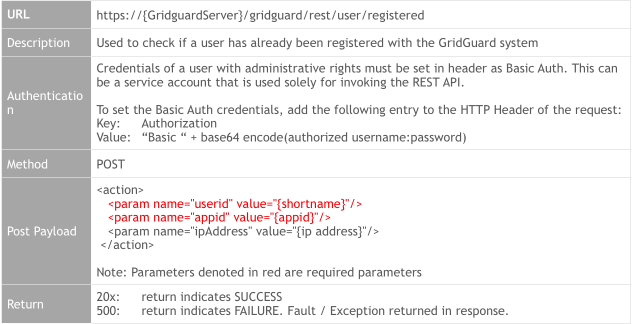 "userid" and "appid" are required parameters. Please note that samples are incomplete in terms of fault handling; please modify as necessary for your application. // If valid (i.e. not self-signed) cert is installed, this can be removed. Given above is sample code in PHP that invokes the ‘registered’ API. 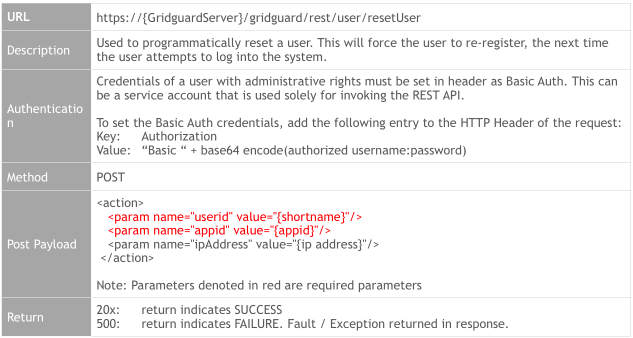 Given above is sample code in Java that invokes the ‘registered’ API. The sample makes use of the Apache HTTP client libraries (http://hc.apache.org/). 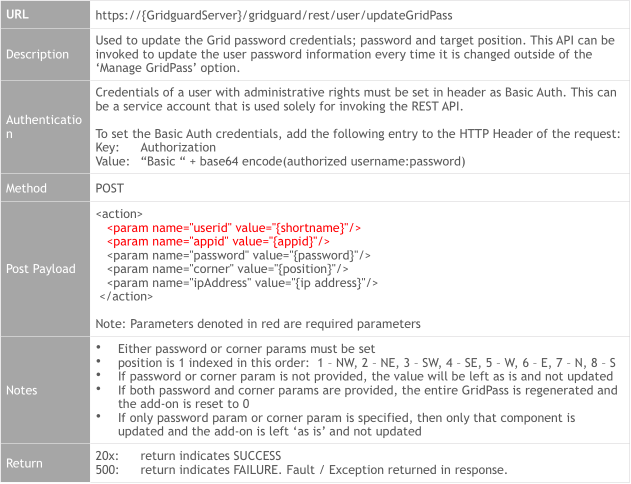 Description Used to authenticate a user and log the user into the application. Parameters in red are required.